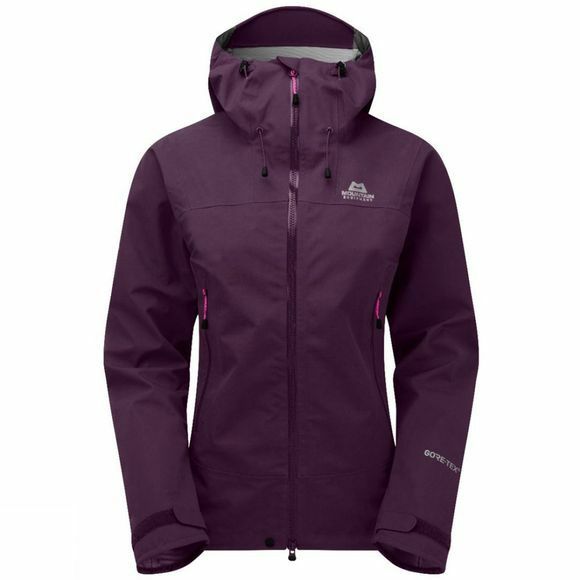 The Women’s Rupal Jacket from Mountain Equipment is a fully featured GoreTex shell giving complete wet weather protection for all-round mountain use. Tough and reliable it will handle all the mountains can throw at it while the alpine fit allows full freedom of movement so you'll always be comfortable. The hood is helmet compatible and can be cinched in when the wind blows for extra protection while the zipped pockets sit out of the way of harnesses and hipbelts for your convenience. Ideal for backpackers and mountaineers heading out in all weathers it’s equally well suited to more technical climbs and remote trips.